Where Do I Store My Pitch Deck? You’ve built your pitch deck. You’ve written your pitch script. And you’ve practiced it thoroughly. You insert your thumb drive to make sure the file you brought works with the venue’s system. And you see an “Unable to read your Drive.” Now what do you do? Or another worst case scenario. You show up with our computer. You’re ready to present. Everything’s working great. We start plugging things in, and oh my goodness, the computer just dies completely. Dead. Nothing’s working. It won’t turn back on. We’re screwed. We don’t want anything like this to happen to you during your investor presentation, so read on to find out how to make this a non-issue.  This article helps you survive the inevitable situation of your pitch not being accessible when you are ready to present. It may seem obvious, but we’ve seen this countless times and it’s a big deal when your pitch is missing the pitch deck. The pitch deck often reminds founder of what they’re talking about in what order and helps the audience connect visually with what you’re saying. If the presentation was only on your now non-working computer you’d be completely screwed . But if you had it on a digital storage solution then maybe we can borrow someone’s computer use some other type of device to connect with that presentation. Ideally you’ll want to use digital storage to file your pitch deck online and in multiple location. You’ll also want to have a copy on your own computer and a physical copy of the deck. Finally try to have a backup on another device separate from your computer, like a thumb drive. Digital storage solutions like Dropbox or Google Drive, or some sort of online sharing site make it easy to access your pitch deck from anywhere, on anyone’s computers. You can access these digital files from anywhere and have different versions available to you at the click of a button. Out of all of our backup solutions this is probably the best and most reliable one. You can also load the font files and any digital media that needs to activate when you open the pitch. But what if there is no internet? Then cloud storage is irrelevant. Make sure to bring your own computer–with a local copy of your pitch deck saved on–with you when you pitch. What if there isn’t a computer at the venue? What if the computer being used crashes? Both of these situations have a chance of happening and having your own device will make it easier to pinch hit when you need to. You can swap out a non-working computer for yours or you could just use your computer directly to display the pitch deck while you pitch your investors. What if you’re computer is dead or crashes? If you have the pitch deck on a thumb drive then even if the place we’re at has no internet whatsoever and our computer is out of order, then you’re still not screwed. You’ve got it on the thumb drive. Most people have a thumb drive or a USB port so you can plug that in on their USB on their computer that you’re borrowing. You can use this to upload our deck and present it on their screen. If all else fails you should have your print version of the deck as a very last resort. Having this can really help if everything else falls apart. You might consider having at least two copies of this for every pitch. This will allow you to have a copy and your investors to have one as well. This solution is not ideal, will most likely take away from your presentation, and should only be used as a last resort. But it’s better than not having anything or being completely shut down because you don’t know what to say. Practice is key to making sure this doesn’t happen. Don’t forget to practice alot 🙂 and if you haven’t already done so, check out our article on getting the most out of your Pitch Practice. For all fonts in your pitch deck, you want to make sure you have the font files too. That means also having a back up of the font files on a thumb drive and online. This applies especially when you’re presenting with a tool like PowerPoint or Keynote, and you’re using special fonts. When using these tools, make sure you also save a backup of your fonts in multiple locations. This is very, very important because if you upload a document or a PowerPoint presentation into someone else’s computer without loading these fonts first, it’s going to mess up the look and alignment of all the text in the pitch deck. Unless they happen to have the same fonts on their computer, the text and general layout are both going to get all wonky and weird without the right font files. See our article about using specialized fonts in your pitch deck for more detailed information on fonts, font files, and how to make font work for your logo, brand, and pitch deck. Note: This is true for presentation software but it doesn’t apply to PDF’s. If you’re sending a PDF version of your send ahead pitch deck to somebody, it’s not going to have the same font problem. Accordingly, You might want to consider saving a copy of the PDF so you always have the actual file with you without needing to download the font files. PDF’s can be accessed in the correct format from most devices and for this reason they are great backups. PDF versions of your pitch deck however, are not very good for actually presenting (they require scrolling) if you have the other presentation software on-hand. You don’t want to mess up in front of investors or judges at competitions. You have very limited attention span of the people you are presenting in front of. And you have very limited opportunity to present in front of them. You’re unlikely to get another shot, so it’s very important to make sure you have backups of your pitch, and you’re able to always succeed no matter what happens. Expect things to not go as planned. Be ready to adapt to anything that gets thrown at you technically. We want you to still feel good, confident and collected in your ability to solve the issue and be able to present. We want you to feel really confident, prepared, comfortable, and safe the next time you go for an investor presentation. If you don’t have a backup, I need you to be able to present WITHOUT your slides, which is really hard to do for some people. So you need to make sure you know how to present without your slides if you ever want to go without a backup. Practice is important for making this easier but make sure to build in redundancy by always being able to access your investor pitch deck. We hope this helps you survive your next investor pitch deck debacle and have a successful presentation that gives your investors confidence in your ability to anticipate and adapt to issues that will inevitably arise. If you have any thoughts on backing up your files, or other ways to backup your files, maybe even a horror story of the time you lost your files (We’re so sorry if that happened) but we’d love to hear about it in the comments below. Thanks so much for joining us. We’ll see you guys here again soon.